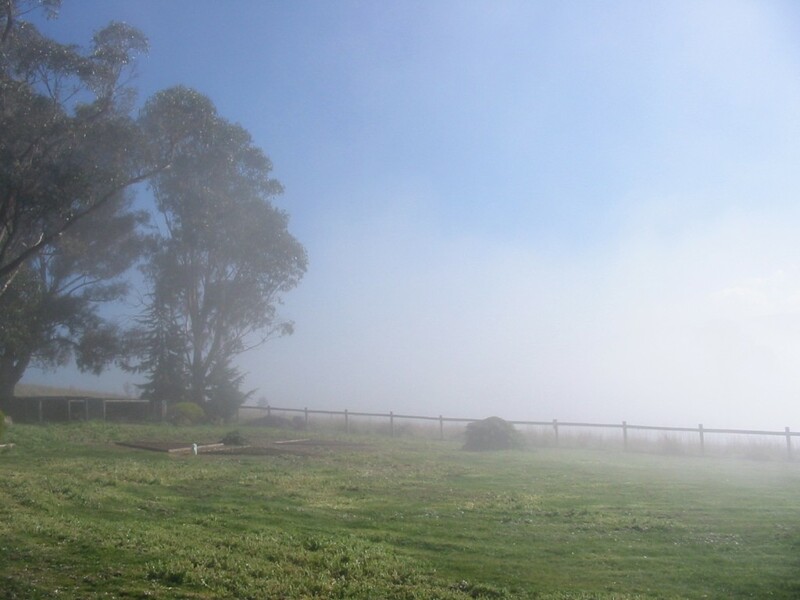 Hooray for an early spring! Two weeks of warm weather in August got us in the mood to work on the garden. 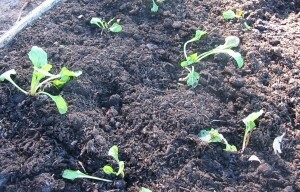 With visions of being self-sufficient in fresh produce, we started with a salad garden. Orders of seeds arrived faster than we could get ready. 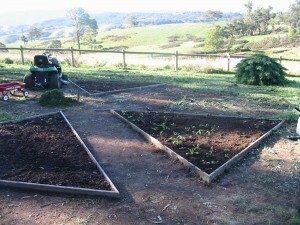 So far we have 15 square metres under lettuce, cabbage, onions, endive, bok choy, dill, beet, amaranth and parsley. The children had fun helping plant the seeds and some seedlings. Then the boys joined me on the lawn mower, cutting grass, followed by raking up grass clippings and bringing them to the garden spot to dry down and later use as a quick mulch. The book Back to Eden by Jethro Kloss has some good gardening tips and inspiration for self-sufficiency. You may have this book in your home library for its health and medicinal information, but may not have noticed the gardening section. This actually has a lot to do with its title – Eden was a garden. We sat down together and read that section and figured that for a start we could easily grow all the fresh salad things that we buy. Dig a deep cavity in the ground, then put in rich dirt, then stones, then rich dirt. 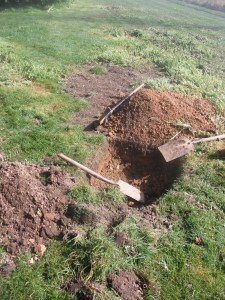 After this … put in layers of earth and dressing until the hole [is] filled. So far we have a lemon tree in, planted that way. Two apple trees are waiting for the same treatment. We are expecting 200 strawberry plants to arrive mid-week. This will be our next challenge – making a nice home for all the new baby strawberry plants! Working on the land presents character-building opportunities for the children. Rather than sitting inside in front of a screen, they are out in the fresh air and sunshine learning to work with God’s nature to produce food that will later end up on their plates. That’s great! Love how you’re doing the garden. And it really looks like it’s taking shape. Have you figured out a way to get rid of the ducks yet?? Who wrote this, Nitza or Nathan? Got me confused on that point…. I’m figuring that Nathan wrote it because I don’t think Nitza would be mowing the lawn…. lol It’s looking great. I hope you manage to keep afloat when the strawberry’s come! <3 you's! I love the gardening pictures! Our family values our country home in the hills too. This summer has been very hot here in Tennessee and even though the heat has been high here, the higher elevation has spared us the suffocating humidity and heat in the lowlands. It cools off at night so we are able to sleep comfortably. We enjoyed a night sleeping out on the veranda recently looking at the stars, a treat we could not have enjoyed in the city. The quiet summer night here is a myth though, because of the insects we know as a Katy-dids. They are very noisy until sometime after midnight when the air cools down.